Moolah! This word is a popular slang term for money, which may well have Indian origins. All online slot games are about money at their heart, but Mega Moolah slot’s big selling point is that it is about lots and lots and lots of money. Its massive progressive jackpots are always signposted front and centre by the many, many casinos that host it. You should always check the status of the game and all the facts and figures at the casino you’re playing at before you play, and that’s especially true of progressives. What does Mega Moolah slot offer players? Big payouts are the promise, and if you’re to see them they’ll be delivered via a very traditional format. That means five reels and three rows of symbols with a big control panel and a cartoony backdrop. Pay-lines are listed on the screen and the progressive jackpot totals tick around at the top of the screen. And those are often very big figures, split into four categories. The game we played had a top jackpot of £3,372,898 and counting when we logged! The theming of the game is based around clichéd African animals – giraffes, lions, antelopes, elephants and so on – with a soundtrack of chirping, tweeting and other animal background sounds. The game itself is very simple. It has wilds, scatters, and win multipliers in the base game and a very generous free spins game with its own multipliers. So there are plenty of chances to win big even if you don’t trigger the four-stage progressive jackpots. Players love Mega Moolah slot. That’s obvious from the number of casinos you’ll find it at, and the number of front pages you’ll see it on. These sites are cutthroat businesses they’re not going to promote things that don’t sell. So the setup is very simple, but does it deliver a potentially rewarding deal for players? Here are the facts and figures so you can decide for yourself. There are five reels and three rows for a total of 15 symbols on the screen. The game has 25 pay-lines (sometimes called “Betways”), which you can choose to bet on. The coin size is between 0.1 and 5, giving a maximum bet of 6.25 (£6.25 at UK casinos). The theoretical return to player is 88.12% with a variance rating of medium. That RTP looks awful, but it’s a feature of the massive progressive jackpots. RTP is not a measure of how much you will win each time you play, it’s a very long-term measure of how much a machine should return to players over its lifetime. With progressive jackpots, a set of networked iterations of the game fund the gigantic prize by syphoning off some of the bets into a central pot. We’ve seen the game rated at around 94% – a much more mainstream but still slightly low level – when offered as a non-progressive jackpot machine. Mega Moolah slot machine pays out its big jackpot 12 times a year according to the latest reports. Microgaming produce Mega Moolah. They’re a major player in the online gaming ecosystem, producing hundreds of games and also casino operating systems from a base in the UK. 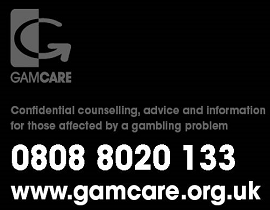 Their titles are hugely popular and hugely widely available – whole casinos and bingo or other gaming sites run Microgaming. Among the titles, you might know from them are Game of Thrones, Thunderstruck and Dragonz. They also produce casino software, live dealer stuff and so on. They’re pretty famous for their progressive jackpots, and actually, hold the world record for a jackpot on Mega Moolah being played at Betway. Good news! Mega Moolah is not the most up-to-date looking game. The backdrop is pretty straightforward and the cartoony symbols from the African wilderness are OK without being out of this world. It’s bright and friendly, but a little bit corny. The soundtrack is OK, but after a few spins of hooting monkeys – or whatever they are – you might want to mute the tab! You probably picked Mega Moolah to try to score one of the four big jackpots, but there are bonus symbols and games throughout the whole game. The lion is a wild and will replace any symbol (except the scatter) to pay out the best winning combo in which it appears. There’s also a multiplier applied to wins with wilds. Any win that includes a wild gets a doubled pay-out. Like most online video slots, the big feature of Mega Moolah is a free spins round. This is triggered by the appearance of three monkeys, which is a scatter. These little guys deliver 15 free spins. During those free spins rounds, you enjoy a three-times multiplier on all wins. You can also retrigger the feature. The progressive jackpot is split into four levels: a mini that starts at £10, a minor that starts at £100, a major that starts at £10,000, and the mega that starts at 1,000,000! There’s some controversy about whether you can increase your chances of winning the progressive by betting higher amounts. Normally, algorithms on these games are blind to such things, but it’s true – and it’s official it’s in the game’s own rules – that you will increase your chances of winning the progressive on this game by staking higher. You will need to be in the bonus game to trigger the progressive jackpot, which goes off randomly, pulling up a wheel of fortune with the four jackpots on it. This could be the most exciting moment in any online casino game! In September 2018, the progressive at Mega Moolah had again shot above the world record level, promising some lucky player a fortune. Microgaming makes all of their games with mobile, tablets and other small screens in mind. You can play Mega Moolah slot on all popular operating systems. The design is not especially mobile-friendly, but it works fine. 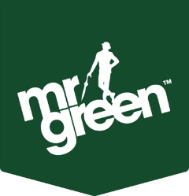 Take a look for it at your favourite mobile casino site. Mega Moolah slot is very simple to play. Simply click on the spin button that sits at the bottom right of the control panel. From the left, there is a panel that lists your balance with a button above it that brings up details of the progressive jackpot. Next are the coin size window and the two buttons to set it. Then the bet lines window, the coin number window and the bet size, with a max bet button underneath it. It’s pretty simple, though some of the labelling isn’t the clearest and the help features on the game we played were quite frankly disappointing and very old-fashioned. Is Mega Moolah a Game Worth Playing? Mega Moolah slot doesn’t have the greatest design in the world, and it looks really old fashioned against some machines. It also has – in the progressive version – an RTP that would have players turning away from other machines. However, it has the capability to change lives and that’s why people play it. It has decent bonuses and entertaining features too, so we reckon you should check it out at your favourite online casino. 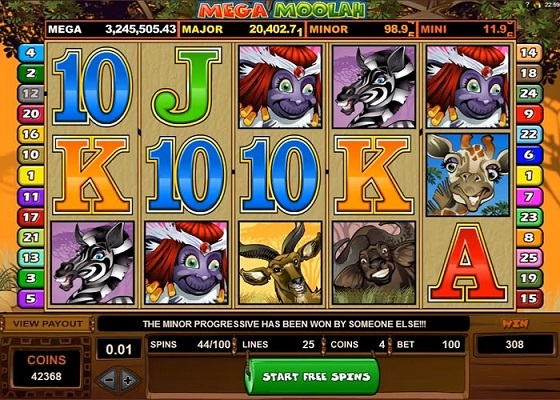 Mega Moolah slot is a feature-packed safari themed progressive jackpot slot game. In fact, MegaMoolah was one of the first ever online progressive jackpot slot game and so has a special place in the hearts of many online slots players. Mega Moolah jackpot slot was created by Microgaming and released in 2006. Once your safari begins you will see lots of wild African animals such as zebras, gazelle, elephants, giraffe, buffalo, and of course the king of the jungle. The animals are also the symbols on the slot wheel. In addition to the brightly coloured animal pictures, there are also vividly coloured number and letter symbols. 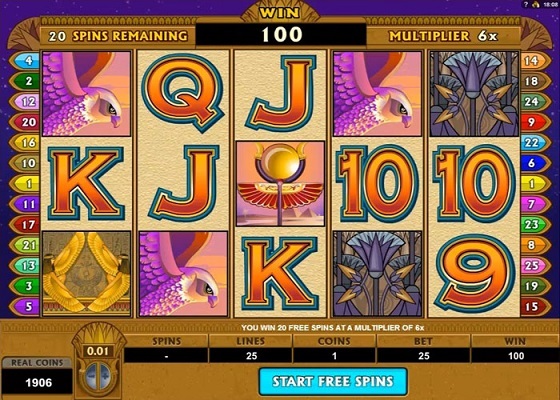 The letter and number symbols are used to represent your high-value cards on the slot wheel. The Mega Moolah slot game has five reels and twenty-five pay lines. The maximum number of coins that you can wager is 125. Anytime that you would like to wager the maximum amount you can easily hit the “bet max” button on the bottom of the screen. 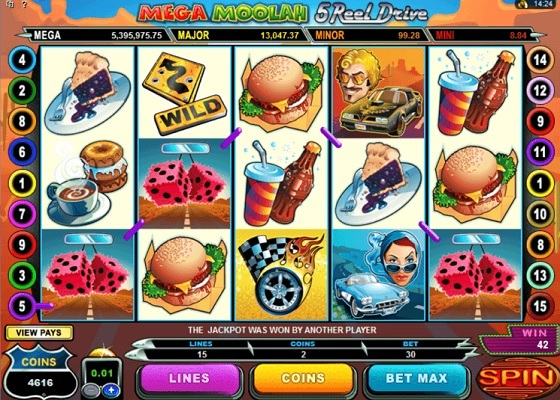 Mega Moolah can be played in two different modes regular and expert. In the expert mode, you can take advantage of the Autoplay feature. The Autoplay feature allows you to play without having to interact with the game software. This feature allows you the option of turning off the background music and other game sounds if you choose too. There are several symbols with special values in the Mega Moolah slot game. For instance, the scatter monkey symbol means that you win no matter where on the board it lands as long as you get two or more of them. The lion symbols act as a wild card, and substitutes for any other symbol to complete a winning combination, except for the scatter monkey symbol. 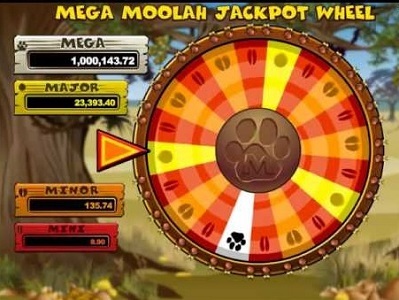 The wild lion symbol is also a multiplier in the Mega Moolah game, and this means that the payout will be doubled for any combination that it completes. The Mega Moolah online slot game also has a free spin feature. If you get three, four, or five, scatter monkey symbols in one spin you will win fifteen free spins. Any winnings acquired during the free spins are tripled, and you can also win additional free spins off of a free spin. ..and the USA road trip themed 5 Reel Drive version. Mega Moolah slot machine also has a bonus feature and this is where the progressive jackpot comes in. The jackpot progressives are divided into four parts: mini, minor, major, and mega. The mini progressive jackpot starts at £10.00, the minor progressive jackpot starts £100.00, the major progressive jackpot starts at £10,000, and the mega progressive jackpot starts at £1,000,000.00. The bonus feature of this game is a wheel that you spin a bit like the Wheel of Fortune wheel if you know that TV show. The bonus wheel is colour coded so that you know which jackpot that you have won. There is only one slot on the wheel for the mega jackpot, but if the wheel stops on that slot you have just won a minimum of £1,000,000.00! The one million Dollar mega progressive jackpot has already been hit several times recently! The other progressive jackpots for the Mega online slot Moolah game also payout with great regularity. Casinos with Mega Moolah – there are quite a lot of online casinos that have the Mega Moolah game as it’s such a huge attraction for slots players. We’ve selected what we think are the best casino to play Mega Moolah at, based on how long these casinos have been in business and their overall reputation and software quality. The top three casinos for Mega Moolah can be found back at the top of this article. Can I get Free Spins on Mega Moolah? While many Mega Moolah casinos are currently giving away Mega Moolah free spins on various slot games, it is quite unusual to find one giving away free spins for Mega Moolah. They usually stipulate that any free spins on offer cannot be used on progressive jackpot games. The reason for this is they do not want a free spins player to get the publicity for winning the jackpot, it doesn’t look good to regular depositing players. Having said this, casinos do sometimes offer free spins on progressive jackpot games in order to get an edge on the competition and attract new players. These promotions are very short lasting in general so you need to get in there quickly. The best place to try for Mega Moolah free spins is probably Leo Vegas, they give free spins away on a very regular basis, more than anywhere else, so that is probably the place to play if you want the chance of free spins on Mega Moolah.